Google decided to do something with Android in version 4.4 KitKat that is causing a lot of grief for some, locking down an app's ability to work with external SD cards. Let's make sure we know exactly what this means before we go on: For starters, this is true external SD cards, this does not pertain to the mock 'sd card' storage space you will find on Nexus line devices, I am talking about an actual microSD card that you can physically insert and remove from your device. The restriction is that an app cannot control any folders other than its own on the SD card. So, most of your apps will operate without issue, but you can forget about trying to use a file explorer to organize your files, or a cleaner tool to clear out old files on the sd card. Android wouldn't really be Android if there wasn't a way around this setting. Thanks to the folks over at ES File Explorer, we can regain at least a little bit of that control. As you probably guessed, I put together all the info over at Android Authority, check it out if you are so inclined. So, it will take a bit of root of Google's Android to gain access to external SD cards again. 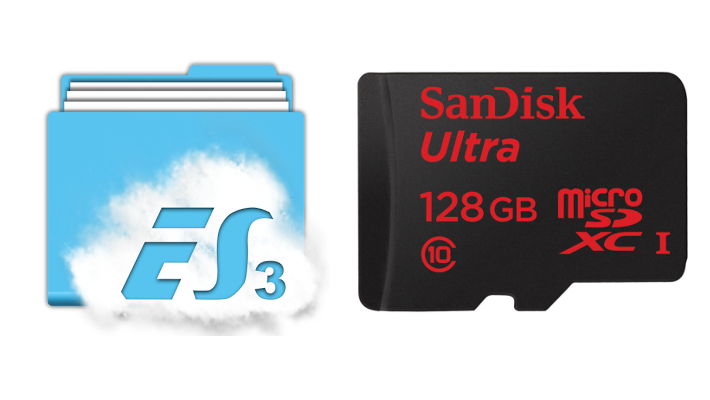 The great news, if you gain root, or are running an AOSP based Android ROM, like Cyanogen, Sandisk launched a treat of a device a little while back, you guessed it from the images above, for about $130 on Amazon you can snag a whopping 128GB microSD card. That will hold a lot of tunes, and movies, and pictures, and.... Check out my detailed post for more info. 128GB of storage in a mobile device almost sounds like too much for today's needs, but I suspect we'll look back on this in 5 years and laugh at how we ever got by with just 128GB. Have you noticed the external SD card lock down, are you willing to root your device to undo it?